Ensemble has a history of producing Award Winning productions in Cleveland! 1990-91 Ensemble created the series Panorama of African-American Theatre, which was filmed by PBS, syndicated nationally and chosen for their "First View Award", selecting it as one of the top 25 EDUCATIONAL PROGRAMS in the country. 1992-93 Winner of Northern Ohio Live's Theatre Achievement Award for Horton Foote's A Trip to Bountiful. 1993-94 Winner of Cleveland Magazine's Readers' Poll for Best Production for D. L Coburn's The Gin Game. 1995-96 Winner of Northern Ohio Live's Theatre Achievement Award for Robert Schenkkan's The Kentucky Cycle. "... with Ensemble's production of The Kentucky Cycle, small professional theatre in Cleveland has come of age. "- Marianne Evett, The Plain Dealer. 1997-98 Nominated for Northern Ohio Live's Theatre Achievement Award for Emily Mann's Having Our Say. 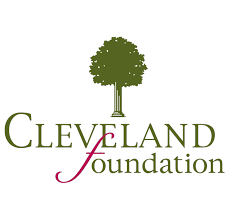 1997 Awarded Multi Year Capacity Building Grant by The Cleveland Foundation. 2003 Times Tribute Awards for Sound Design (Corby Grubb) and Performance (Sherri Britton) for Bunin's The Credaux Canvas. 2003 Times Tribute Awards for Lighting Design (Vincent Polowy), Directing (Licia Colombi), and Performance (Charles Kartali* and Julia Kolibab*) for McNally's Frankie & Johnny and The Claire de Lune. 2004 Times Tribute Awards for Best Production for Thornton Wilder's Our Town. 2005 Times Tribute Awards for Best Production , Directing (Licia Colombi), and Performance (Andrew Cruse & Annie Kitral) for O'Neills Long Days Journey into Night. 2005 Times Tribute Award for Set Design (Ron Newell) for Lanford Wilson's Talley's Folley. 2011 News Herald's Best Actor in a Drama for Dana Hart* in Connor McPherson's St Nicholas. 2012 Won the 2012 Cleveland Critics Circle Award for Best Production for Larry Kramer's The Normal Heart. This production also garnered 2012 Cleveland Critics Circle Awards for: Best Actor for Brian Zoldessy*, and Best Director (of a non-musical) for Sara May. 2013 Won Cleveland Critics Circle Award for Best Director for Ian Wolfgang Hinz for O'Neill's The Iceman Cometh. 2013 Robert Rauschenberg Foundation. 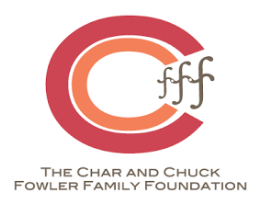 Chosen to be among only 16 organizations chosen nationally to receive three annual $10,000 SEED grants for capacity and programming that ensures growth and longevity. 2014 The Cleveland Jewish News & Cleveland Scene Magazine Best Actor Award for Greg White in O'Neill's Anna Christie. 2015 The Cleveland Scene Magazine Best Actor Award for Greg White in George Stevens Jr.'s Thurgood. 2016 The Cleveland Critics Circle mention for Superior Achievement in Directing for Celeste Cosentino for Lawrence & Lee's The Night Thoreau Spent in Jail. This production also garnered a Best Actor in a Drama Award from The Cleveland Jewish News as well as a Superior Achievement Award from The Cleveland Critics Circle for Geoff Knox* as Thoreau. 2016 Best Actor in a Comedy Award from The Cleveland Jewish News as well as a Superior Achievement Award from The Cleveland Critics Circle for Micheal Mauldin in Eric Coble's Margin of Error. 2017 Cleveland Critics Circle Award for Best Actress (Non-Musical) for Lara Mielcarek* in Lisa Kron's Well. This production also garnered a Cleveland Critics Circle Superior Achievement in Directing mention for Celeste Cosentino. 2017 Cleveland Critics Circle Award for Best Scenic Design by Walter Boswell for O’Neill’s The Hairy Ape. 2017 Cleveland Critics Circle Superior Achievement, Lighting Design, by Andrew Eckhert for The Hairy Ape. 2018 Broadway World Top 15 Cleveland Theatrical Achievements to Celeste Cosentino for Producing & Directing both part of Tony Kushner’s Award winning ‘Angels in America’.